By Jordan Kantypowicz · Feb. 19, 2018, 9:12 p.m. 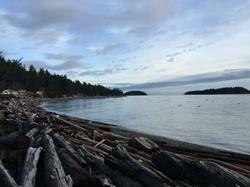 The Sunshine Coast is a nature lover’s paradise. Paddle boarding, golfing, scuba diving, hiking, mountain biking, kayaking, skiing and snowshoeing are all popular activities depending on the season. By Jordan Kantypowicz · Jan. 24, 2018, 7:32 p.m. When I was 16, I watched a friend get verbally bullied before being beaten up at my high school. I decided I needed to take up martial arts to prevent that happening to me. The only problem was, I didn't know anything about martial arts or where to start. 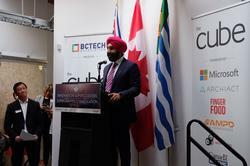 By Jordan Kantypowicz · Oct. 24, 2017, 7:29 p.m.
On October 12, four UBC-partnered superclusters have advanced to the second round of Canada’s Innovation Superclusters Initiative. Part of the nine applicants to have been shortlisted out of 50, they will be competing to be the five recipients of $950 million over a five-year span.